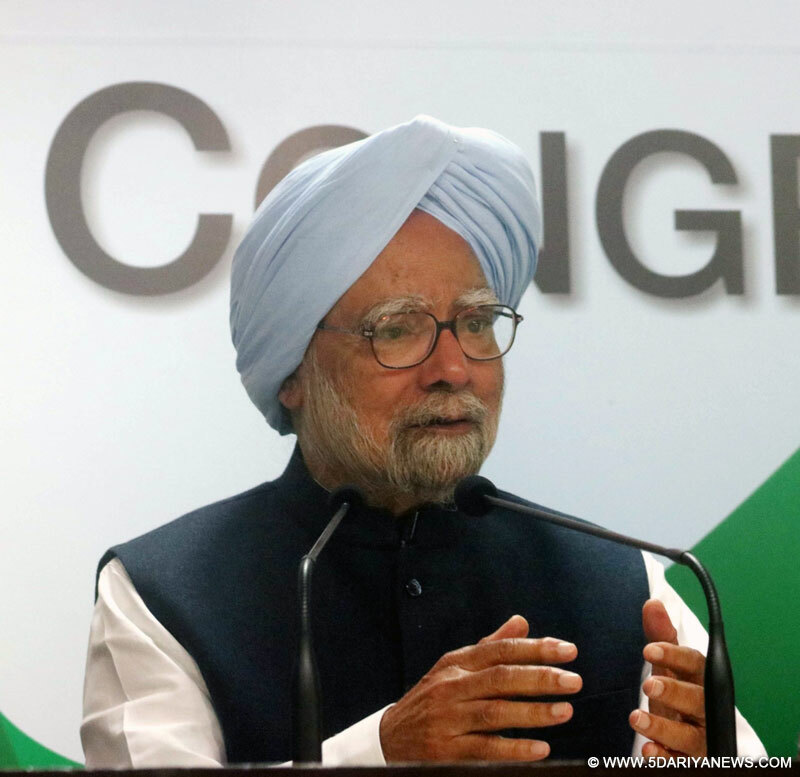 Accusing the Akali Dal-BJP government of "unprecedented mismanagement" of Punjab, former Prime Minister Manmohan Singh on Monday urged voters to return the Congress to power in the state. "Punjab has tremendous all round potential but it has not been exploited because of mismanagement by the government in the last 10 years. The fiscal situation has been mismanaged in a manner which is unprecedented," Manmohan Singh said at the Congress headquarters here.Releasing the Congress manifesto for the Punjab assembly polls here, the noted economist said the Narendra Modi government's decision to demonetise Rs 1,000 and Rs 500 notes had significantly reversed the country's GDP. He said the note ban would be an important issue not only in Punjab but in the other four states as well which face elections. Punjab, Goa, Uttar Pradesh, Uttarakhand and Manipur will vote in February and March. "This manifesto is a visionary document which promises to the people of Punjab that we will undo the damage done by the government in the last 10 years," Manmohan Singh said. "It points to the tremendous potential of Punjab in agriculture, manufacturing, services, infrastructure." He said the November 8 demonetisation had significantly affected the gross domestic product (GDP). "I have said in Parliament about demonetisation having its effect on GDP and it has already been established. According to Central Statistics Office estimates (for 2016-17), the GDP growth will be 7.1 per cent as against the targeted 7.6 per cent. "But this estimate doesn't take into account the effect of demonetisation on the system. If (that is done), you will see a very significant reverse effect on GDP." Singh described Punjab's Congress Chief Ministerial nominee Amarinder Singh as a visionary leader and said Punjab needed a government under his leadership to develop and progress.